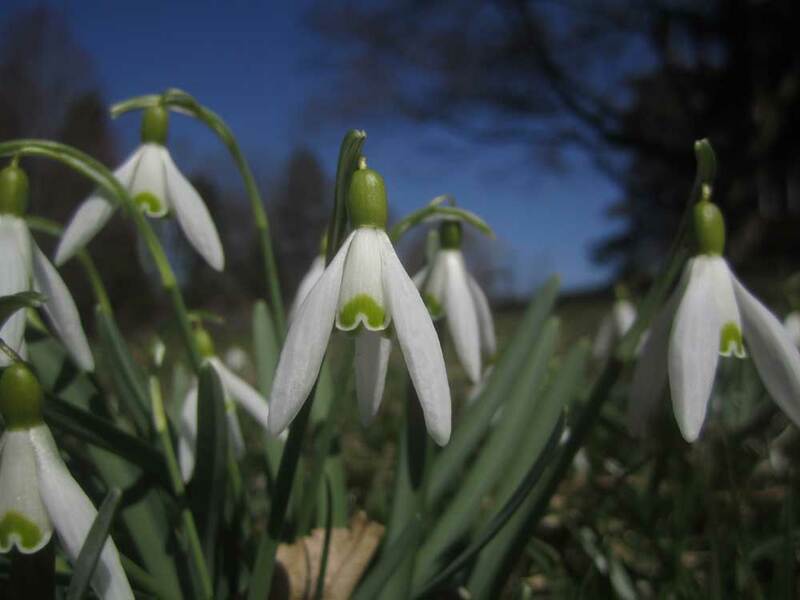 Every year as we bid farewell to March, we enter that magical period when we are briefly visited by some of the most delicate and exquisite flowers to bless us with their presence. 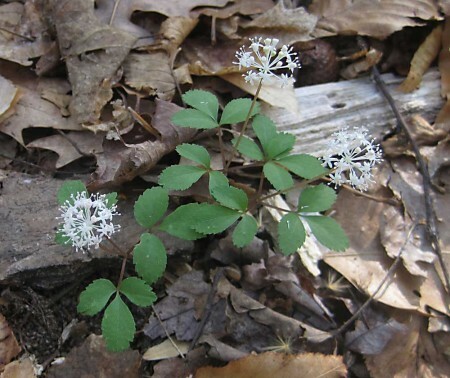 However, unlike the blooms of summer, many of these ephemerals are quite shy and need to be sought out. One of the more showy spring blooms, the Columbine is almost orchid-like. You’ll find most of these spring visitors in the woods. They take advantage of that period when the world is beginning to warm up and before the trees have put on their foliage, blocking out much of the sunlight. 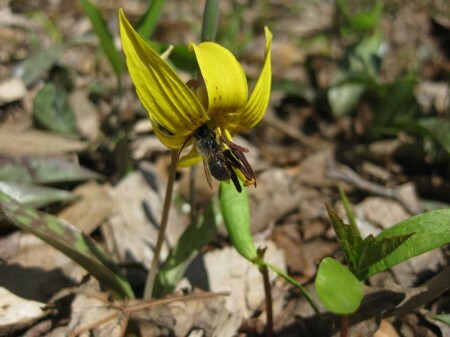 Among the first to appear are the Trout Lily (Erythronium americanum) and the Spring Beauty (Clintonia Virginica). Trout lilies, with their nodding yellow flowers can often be observed in March, and are among the first to appear, followed shortly by the delicate blossoms of spring beauties. that will sometimes entirely carpet the floor of the woods. 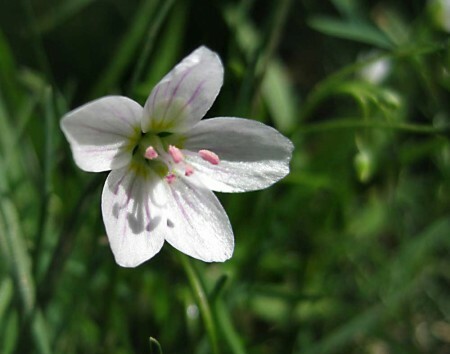 Although most spring beauties are white, with delicate pink stripes, it is not unusual to encounter pink blooms. Another early visitor (that is usually found in open areas) is the Pennsylvania Bittercress (Cardamine pensylvanica), which is one of the earliest plants to flower (and quite spicily delicious). It cannot truly be described as an ephemeral as its foliage can be found growing from September through April, but it is worth a mention as it is one of the earliest edibles to be found. 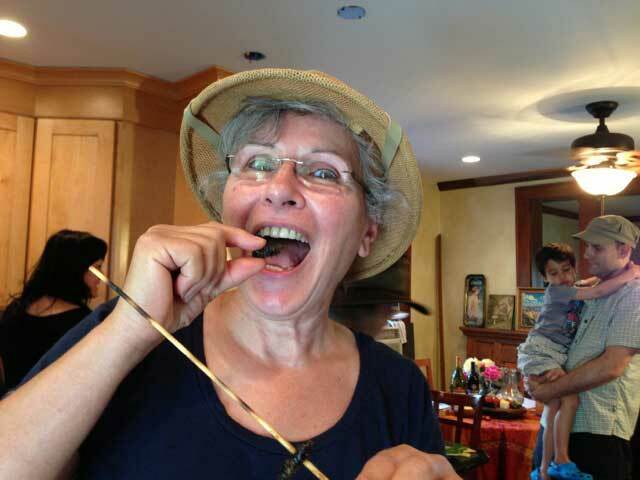 In fact, all of the above plants can be eaten, but should be left untouched unless they are in abundance. However, It is worth spending a little time digging up the small, nut like corms from some Spring Beauties, peeling and eating them. They taste similar to chestnuts. 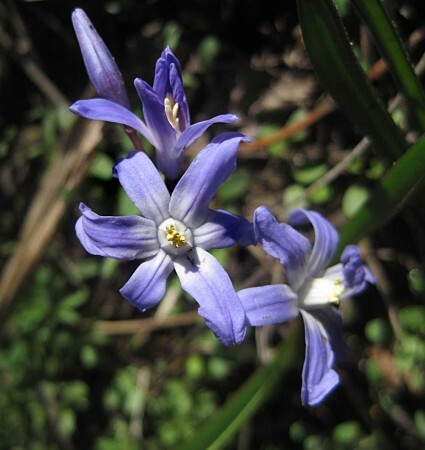 Spring Beauties were a welcome sight to early Americans who ate their nutty roots. 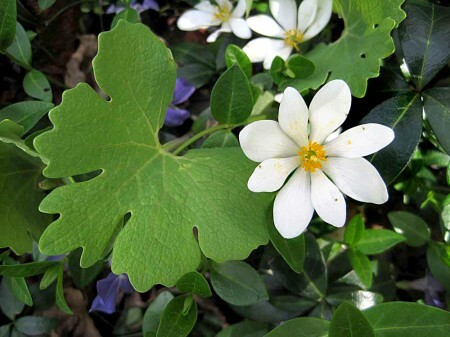 Another brief and beautiful visitor that begins to unfurl its leaves to reveal a single, spectacular white flower, is the Bloodroot (Sanguinaria canadensis), so called because of its vivid red sap. 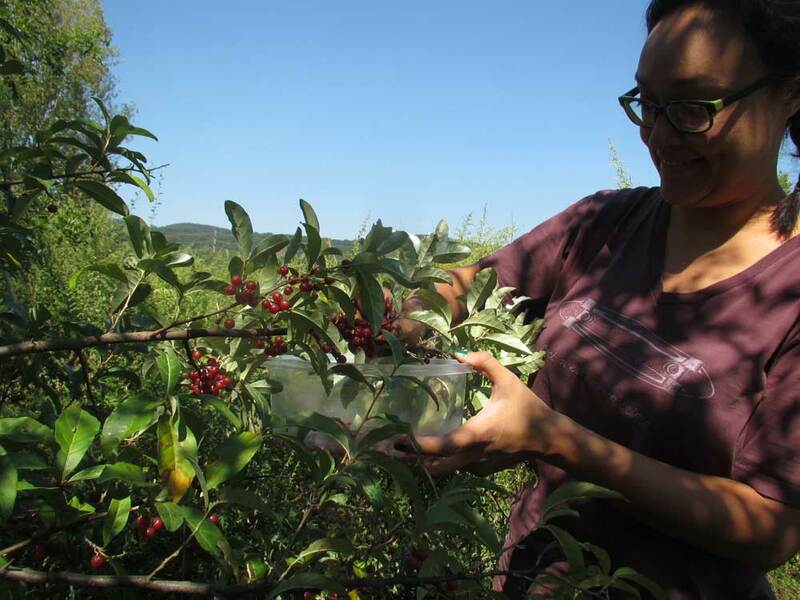 It is not edible, but has some noted medicinal uses, including as a treatment for breast and skin cancers. Every April, I find myself walking the woodland trail that follows the peak of Clausland Mountain (behind Nyack), as it offers a wide variety of spring blossoms all in the same place. 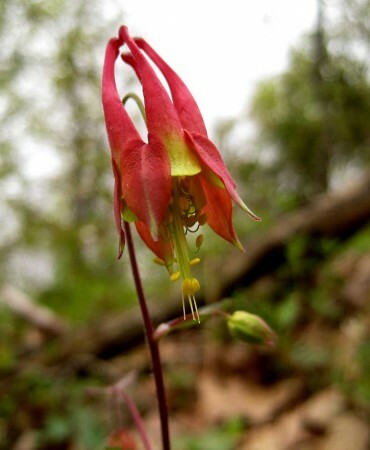 The first plants to greet us are the red and yellow lantern-like flowers of the Columbine (Aqualegia canadensis). 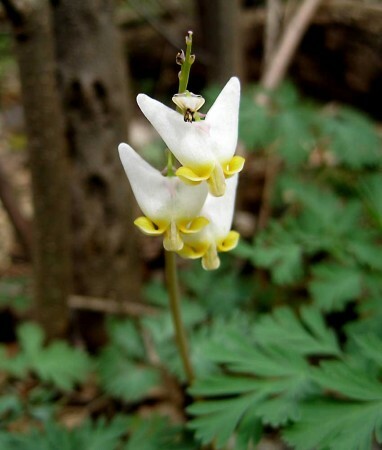 Next we notice the feathery leaves of Dutchman’s Breeches (Dicentra cucullaria), with their little rows of white and yellow pantaloon shaped blossoms. 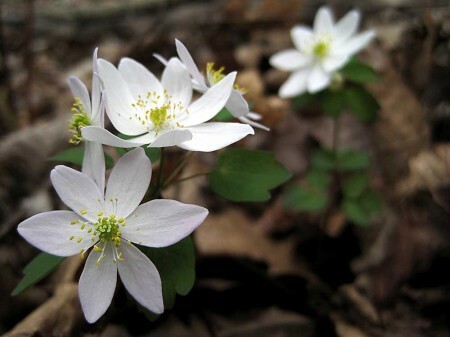 A more showy little blossom, that lives further down the trail is the Rue anemone (Thalictrun thalictroidus), distinguished by its varying numbers of white (sometimes pink) petals and rue-like leaves. A very delicate flower that is easily overlooked is the blossom of the Dwarf Ginseng (Panax trifolius). Unfortunately, they have been over harvested for their potent medicinal corms and are quite scarce in many areas. 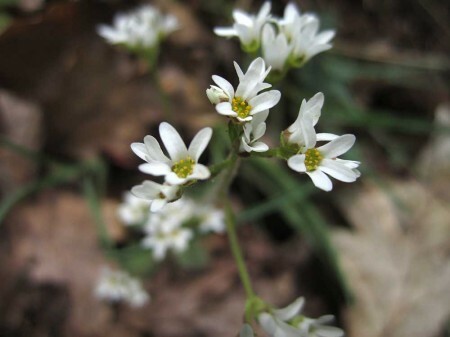 On the same trail I have found clusters of the Early Saxifrage (saxifraga virginiensis) which, although more abundant are nevertheless quite delicate. 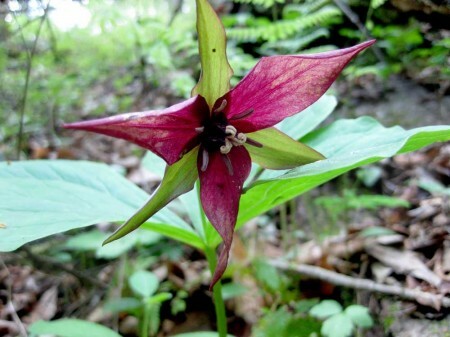 Of course, we cannot ignore those three petalled wonders, the trilliums, that can be quite big and showy. The white ones (Trillium grandifolium) are fairly common where I live, but occasionally I am fortunate enough to come upon a patch of Red Trillium (Trillium erectum). Although they are edible, they are too pretty to disturb. 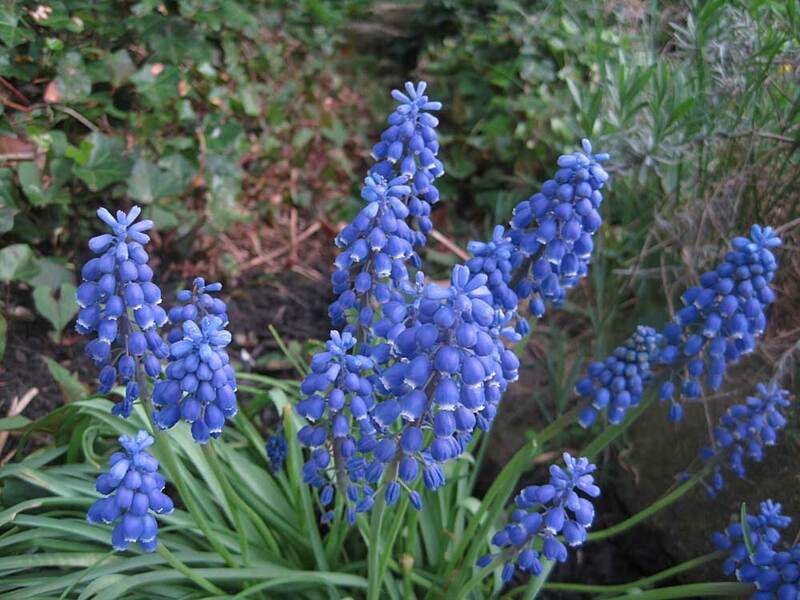 Two other colorful blooms to look out for are the Glory-of-the-Snow (Chionadoxa spp) and Grape Hyacinths (Muscaria spp). Both grow out in the open and are easy to spot, especially since they are both purple. So, during the next few weeks, get out there and enjoy the spring weather, and see how many of these and other ephemerals you can find. You won’t regret it.